The #BizConfidenceChallenge will be back, LIVE, in 2017! Sign up below to join the FREE challenge when it does! How do I keep my self-doubt from holding me back? How do I move forward even when I don't feel like it? The answer is: Identify the doubt, build your confidence in that area, and then move forward, bit by bit. Oh, I know, it's more fun to focus on the tactical stuff, like growing your instagram followers or learning Periscope, but remember, none of the tactics (and no amount of followers) will matter if you don't know where your business is going….and beyond that, none of the tactics in the world matter if you don't DO them. When I talk to makers about their business (and when I look at my own), what I discover 99% of the time is that we all know a BUNCH of stuff we COULD do, but we feel held back from actually DOING it. What would less self-doubt and more confidence do for your business? How would you act? What would change? So let's do it, together. 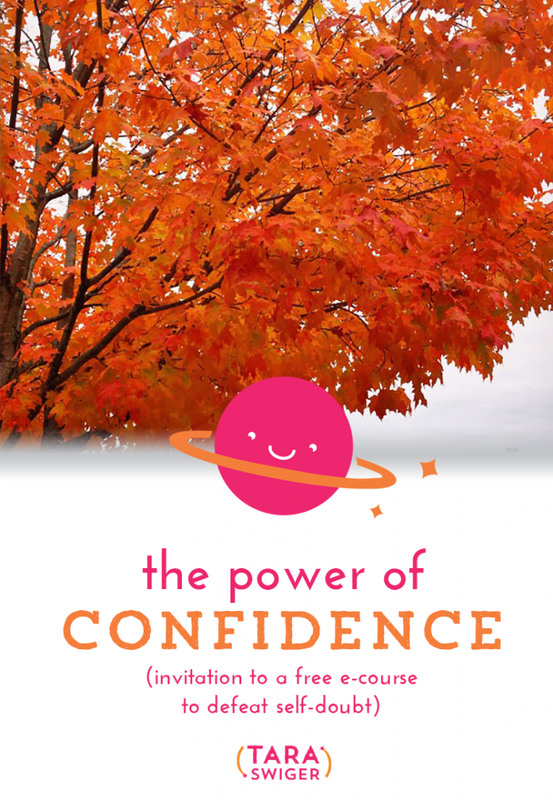 Let's defeat self-doubt and build your business confidence. Over the course 6 weeks, I'm going to challenge us to take one action, each week, to move forward, build our biz confidence, and step into our own awesomeness. And I’ll be playing along too, and sharing my own progress. Each Thursday, we'll get together on a live webinar to go deeper into your confidence-building adventure, share my replies and examples from the community. To get the weekly challenge + webinar-invites in 2017, you must be signed up here! Take a picture that represents something you'd do in your biz, if you had more confidence. Share it on Instagram and tag it #bizconfidencechallenge. 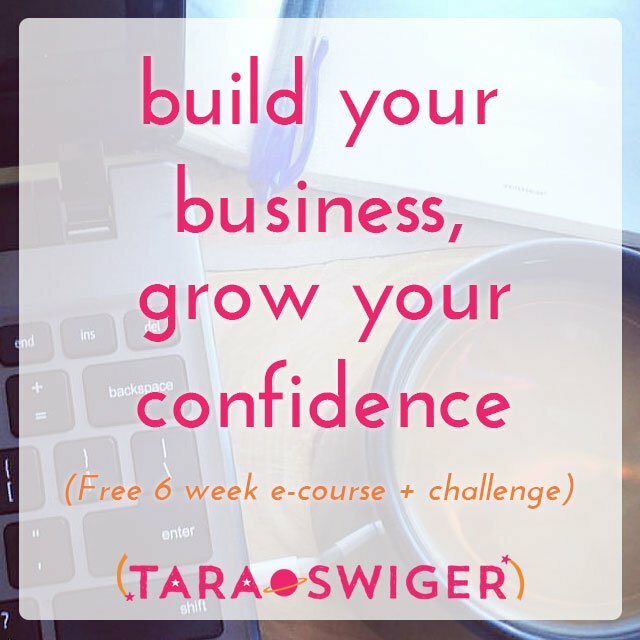 I'm joining Tara Swiger for a FREE 6-week e-course to defeat self-doubt, build my confidence, + grow my biz. I'm not going to let doubt hold me back from achieving my big goals any longer! Questions? Want to collaborate? Ask me here! Remember – The Biz Confidence Challenge is not currently running, but it'll be back for another LIVE round in 2017! Sign up below so you can be in when it does! Subscribe to get the (free!) 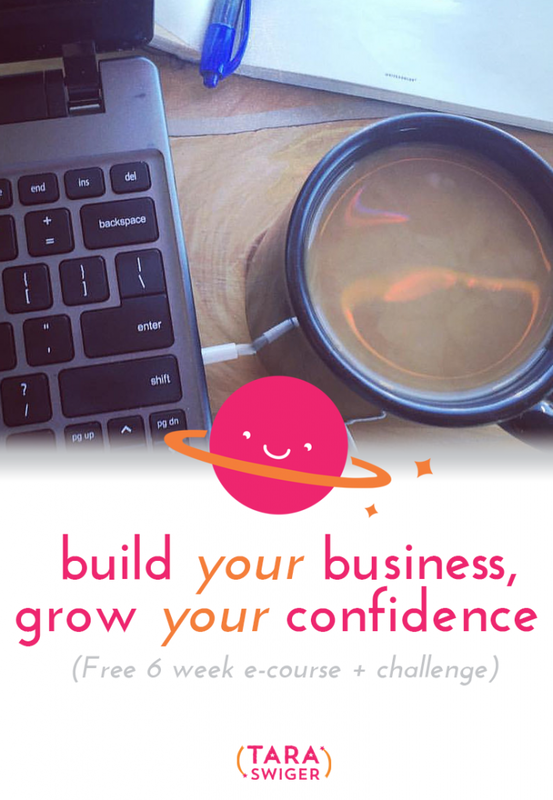 6 week challenge, to grow your confidence and grow your biz.